Celery root is one of those items you may see at the store and think ... what is celery root or celeriac? Does it taste like celery? The thoughts pass by as quickly as you pass it by. Next time pick one up and test it out. While it looks like a root vegetable and kind of works like one, it's not. It's exactly what it is called. The root of the celery stem. 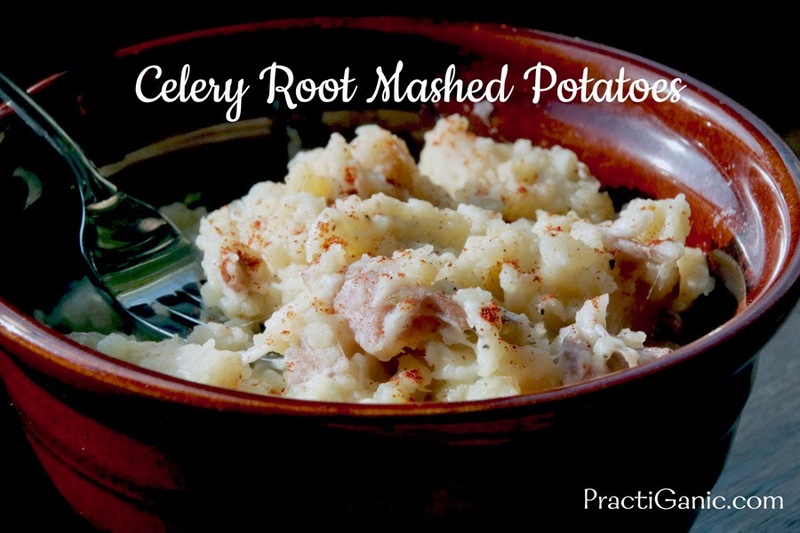 It's best for it's Vitamin C.
Celery root and potatoes are a great pairing. I think they give potatoes the little flare they need. I like them in potato pancakes but best of all, mashed potatoes. 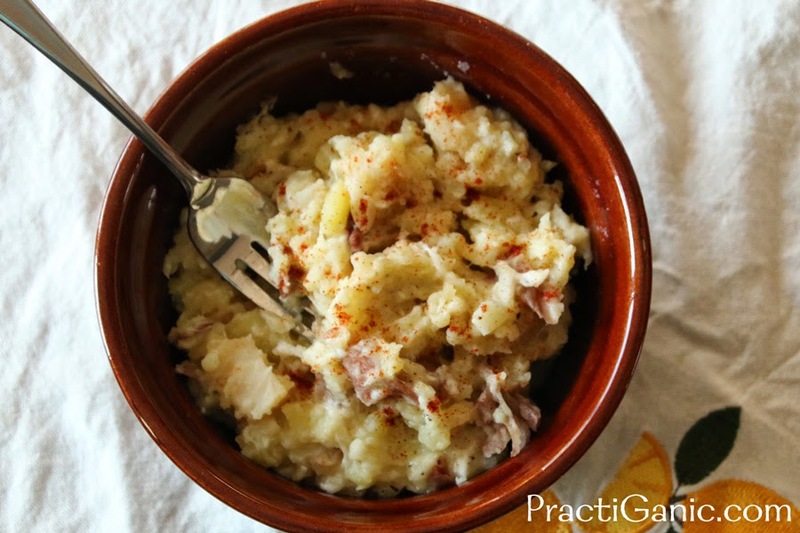 Boil potatoes and celery root in the same pot together until tender. Drain water. Add remaining ingredients to the pot and use a potato masher to get to your desired consistency.